Tiecom offers enterprise solutions that will integrate seamlessly with your business’ IT infrastructure. Our technologies will help improve productivity, increase customer satisfaction and drive employee engagement no matter how large or complex your operating environment. The UNIVERGE SV9500 is a powerful communications solution capable of supporting up to 6,000 end points in a single system. 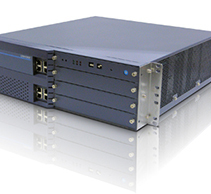 It is the ideal IP communications server for regional and global expansion. The UNIVERGE SV9500 is reliable, scalable and energy-efficient. This advanced application server supports voice, unified communications and mobility solutions for tens of thousands of users. In a networked environment, it can support up to 192,000 ports. Minimal downtime means your people and information is accessible when needed.